The results of the recent Photobooks sale at Christie's in London were considerably stronger than the other photography-related book sales this season. 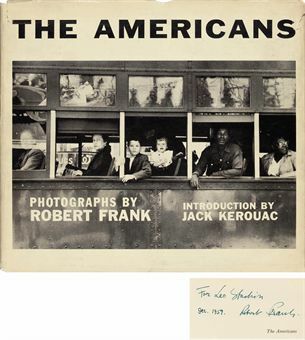 While I don't have access to historical photobook auction records, according to Christie's, the inscribed Frank (at right) likely set a record for a regularly-published (not special or limited edition) postwar book, fetching a hefty £43250. 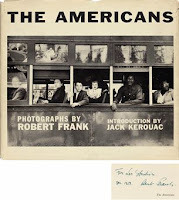 Photobooks by Henri Cartier-Bresson and Richard Prince also soared to big prices (see below). Overall, the buy-in rate was solid (just under 28%) and the total sale proceeds covered the total High estimate.